The Department of Cinema Studies is hiring a fiction filmmaker. 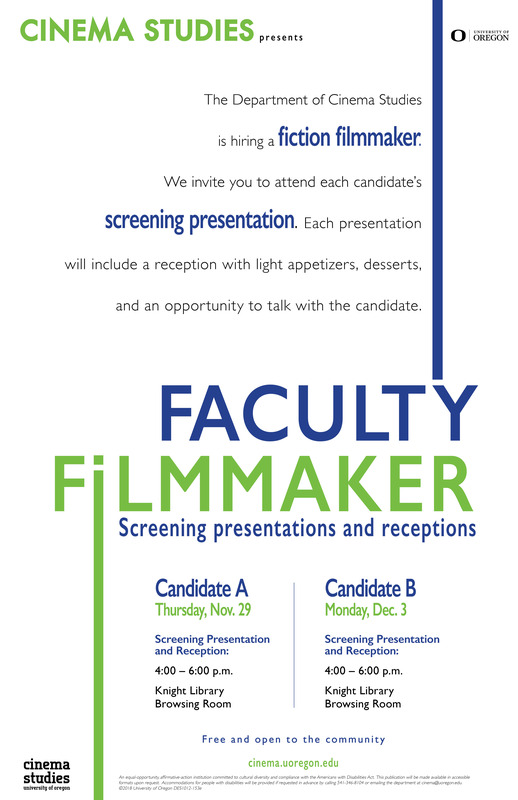 We invite you to attend each candidate's screening presentation. Each presentation will include a reception with light appetizers, desserts, and an opportunity to talk with the candidate. Free and open to the community.